New Tire Sealant Formula. Seals up to 5x faster! 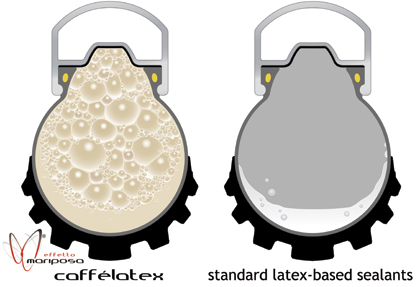 Caffélatex is a truly innovative tire sealant: the first of its advantages over standard latex-based sealants comes from a foaming agent (Actifoam™), activated by wheel movement. Centrifugal force drives standard latex-based sealants against the outer circumference of the tyre. 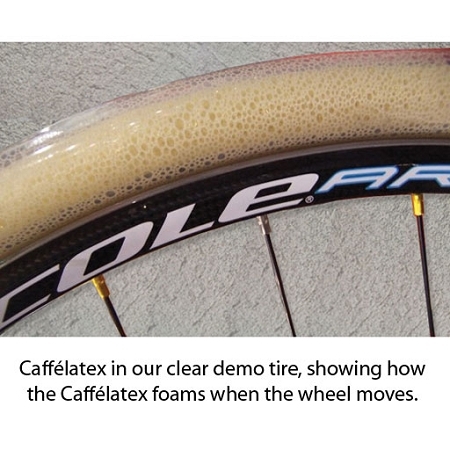 Caffélatex foaming action causes it to fill the tire's entire internal cavity, making it much more effective against sidewall punctures. VeloNews: "I have used CaffeLatex in lots of cyclocross tubulars, and I never got a flat with one, despite riding through numerous areas rife with goathead thorns"
Slow twitch: "We could have a new all-around winner on our hands." 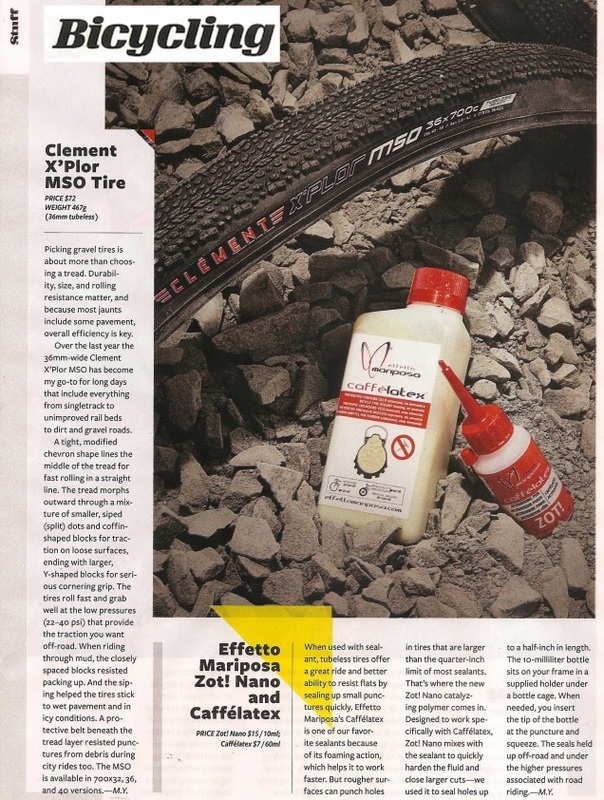 TwentyNineInches: "Effetto Mariposa has hit the ball out of the park with this sealant." Marathon MTB: "All up I have been very impressed by the CaffeLatex system"
Pinkbike:"Having spent six months using several different sealants back-to-back, we can confidently say this is the highest performing one we have tried so far." NEWEST Bike Radar: "This is certainly the best value sealant here." Read the full, unbiased Bike Radar test review here. Where Caffelatex performed nearly as well as the top competitor, but at only 75% the price; thus, giving Caffelatex the best bang for your dollar. Its fast sealing action makes Caffélatex ideal for MTB and road tubeless, tubular and standard tires: it repairs punctures up to 5mm (mtb) and 3mm (road). In this video(Caffélatex puncture repair), you can see punctures of ranging sizes being sealed by Caffélatex. When the puncture size is larger than 5mm, Zot! is used as a catalyst to speed up the clotting action. Thanks to its formula Caffélatex is a very stable and durable sealant, but we know this is highly dependent on the type of application and external conditions. During our field-testing it has lasted over 12 months in thick-casing tubeless tires on UST wheels. Nevertheless, in the impossibility of knowing our customers' specific application (kind of wheel/tire set-up, tire sidewall thickness and porosity, external temperature and humidity, bicycle storage conditions...), we recommend checking Caffélatex every 2 months, to make sure it's liquid and therefore retains its 'puncture preventive' action. Containing no ammonia, Caffélatex is 100% tire & rim friendly. Caffelatex will not corrode the rims, which is a typical problem with other sealants. For more information you can read Lennard Zinn's article tire sealant corrosion of rims. bottles (1000 or 250 ml) or bundled into Caffélatex Tubeless Conversion Kits. Caffélatex has been developed for Tubeless, Tubeless-Ready and TNT (Tube No Tube) and 2Bliss mountain bike tires, manufactured according to USTstandards. Slowtwitch"We could have a new all-around winner on our hands." TwentyNineInches "Effetto Mariposa has hit the ball out of the park with this sealant." Marathon MTB"All up I have been very impressed by the CaffeLatex system"
The above figures are some good starting points. Not all tire sizes across all tire brands are created equal. You will need to do some experimentation to find the best amount to use. Q: Why is such a product needed? A: There were several aspects of current tire sealants that we (Effetto Mariposa) felt we could improve. We wanted a sealant to be more effective (being able to be there and everywhere in the tire when punctures occurred), more stable in time and temperature, without any chemical potentially dangerous for tire/rim. Q: How much easier is it to set up a tubeless tire? A: Tubeless conversion of standard tires has a lot to do with the tire you're using and its bead diameter. Once inflated, a better sealant will seal the tire faster, but has a lesser influence on the primary inflation (where bead diameter/rim used play a major role, instead). Q: Do you intend it to be used like Stan's Notubes, both as a sealant as well as to allow tube type tires to be run with out tubes? A: Yes. We officially recommend Caffélatex sealant and KIT for Tubeless Ready (Hutchinson, Bontrager, Specialized...) or TNT (Geax) tires, where beads are tubeless-like. Caffélatex Tubeless Tape is quite thin, and for the tubeless conversion of standard tube-type tires a compressor is going to be a must. The advantage of Caffélatex Tape, beside the low weight and resistance, is that it's easy to mount TR and TNT tyres on 'converted' rims, something very difficult using rubber sealing rim-strips. Q: In motorcycles there are similar products, foaming tire sealants, is this an adoption of that? A: The base formulation we started with to develop Caffélatex comes from the automotive field, where sealant stability, effectiveness and chemical compatibility have very high requirements. Q: How important was it to get the ammonia out? A: Very important. That obliged us to stay away from natural latex formulations and turn to synthetic latex, which has some other advantages as well. The ammonia content of current latex sealants is not dangerous for tires/rims in the short period... but some concerns start to be raised from long-term users. We prefer to avoid any of these potential problems from the start. Q: Will it dry up as fast as other latex-based sealants? A: Synthetic latex lasts longer than natural latex... although it's difficult to give numbers here, it depends a lot on tire/wheel/external conditions. During our field-testing Caffélatex has stayed liquid over 12 months in thick-casing tubeless tyres on UST wheels. Nevertheless, in the impossibility of knowing our customers' specific application (kind of wheel/tire set-up, tyre sidewall thickness and porosities, external temperature and humidity, bicycle storage conditions...), we recommend checking Caffélatex every 2 months, to make sure it's liquid and therefore retains its 'puncture preventive' action. Q: How is the Caffelatex tubeless kit different from other tubeless kits? A: The kit includes also an injector, which is normally not included in other kits. We think an injector is a must to do a clean job and perfectly control the quantity of latex you're using. The sealing tape, although similar in function to exisiting products like Stan's Yellow Tape, is of a completely different grade: it's fiber-glass reinforced and can stand 9 bar (126 psi) with a single turn. That will potentially allow road-tubeless conversions as well, as soon as more road tubeless tire options will be available. Beside injector and tape, the kit includes Caffélatex sealant and high-quality tubeless valves with replaceable valve core. All the elements of the kit are made in Italy. Q: If I use CO2 cartridges with CaffeLatex will it freeze? A: Caffélatex won't coagulate or freeze (it can go as low as -20°C in its liquid form). Click Here for the Sealant Comparison Review by Bikeradar! A conversion with Caffelatex has always been successful even when we were ready to give up with Stans. Duration over the time is superior with Effetto Mariposa even if much depends on temperatures original porosity etc. but it further increases the economic advantage of its choice. EFFETTO MARIPOSA CAFFELATEX faces the king STAN’S NOTUBES 4 vs 3 stars Let’s find out the reasons (there are more than one) of such a surprising result The American Stan’s NoTubes deserves credit for having promoted and spread among riders the practice of converting to tubeless tires which were not originally designed in this way. This was possible thanks to a liquid poured inside the tire to automatically seal any possible air losses from punctures or between the rim and the tire bead. However success in converting a standard tire into a tubeless one depends on several factors and excluding rim design this is not guaranteed. For this reason today many different products exist in the market but only Effetto Mariposa with Caffelatex is offering something different from many different aspects. We’ll try and highlight these aspects through a direct comparison. The first one is on price which Effetto Mariposa wins for having its 1000ml product at 1990€ against Stan’s 946ml at € 2990. Characteristics: Stan’s NoTubes has evolved over the years but not as much as Caffelatex with its latest formula from 2012 characterized by added microscopic silicate particles that reduce the outflow from a puncture guaranteeing a repair speed up to 5 times faster and thereby decreasing significantly tire pressure losses. Although most of the rim and tire manufacturers turned a blind eye on the use of a relatively corrosive substance some of them did not approve it but Effetto Mariposa sorted the problem out with its ammonia-free product. 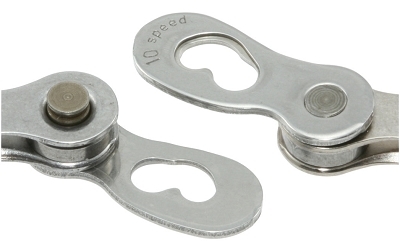 This is not the only difference as one of the Caffelatex key features is that it undergoes a deep change when riding. It shifts from a very liquid state to a foam an aspect that on one hand allows it to be easily injected through non-removable valves cores and on the other hand it is far more effective on the sides of the tire. To sum up its original formula allowed the cyclist to keep the cost down and extend the duration over the time (all the sealants tend to dry up progressively) but at the same time it took longer to repair possible punctures compared to NoTubes leadership. Field Testing: Up to now tests were based in laboratories with artificial punctures made in the tires in order to check and compare the sealing time. This procedure did not take into consideration the different nature of Caffelatex which works best when it reaches the foam state meaning when you are really riding the bicycle. Therefore our test was carried out on a usual testing trail puncturing the tire with a punch when stopping and repeating the operation with tools having different diameters from 1 up to 3mm. During this test we repeated the procedure using different standard and tubeless ready tires but always with a certain degree of approximation in the results being impossible to have tires exactly alike and constant casing thickness all along the circumference of the same tire. In the end we can affirm that Caffelatex repairs punctures in the same time as Stan’s but is more effective in the conversion of non-tubeless ready tires even the toughest ones. A conversion [with Caffelatex] has always been successful even when we were ready to give up with Stan’s. Duration over the time is superior with Effetto Mariposa even if much depends on temperatures original porosity etc. but it further increases the economic advantage of its choice. On top of this and considering the non-aggressive Caffelatex formula we are ready to award it winner of this direct comparison despite the absolute Stan’s reliability with tubeless-ready tires. 253 of 258 Punctures Sealed! I just added some Caffelatex to the 27.5x3 Rocket Ron on the back of my Salsa Mukluk. That tire has between 2,500 and 3,000 miles of dirt two-track in New Mexico. Just for fun I counted the obvious punctures in the tire - 258! 253 of them sealed with Cafelatex (98.8%) while only three required plugging with a Dynaplug. Caffelatex works! Goatheads, Russian Olive thorns, Mesquite spikes and cholla spines - no problem!